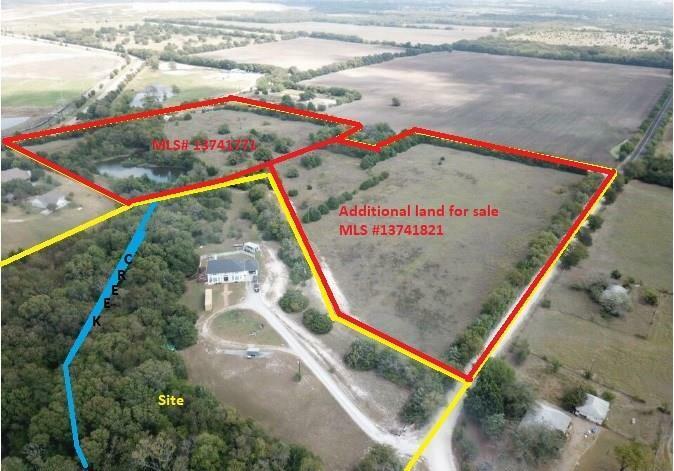 9 acres South improved pasture divided out of the 19 acres in MLS listing #13801717. Corner lot that slopes from East to West with hedge row on the East 480' and South 830'. 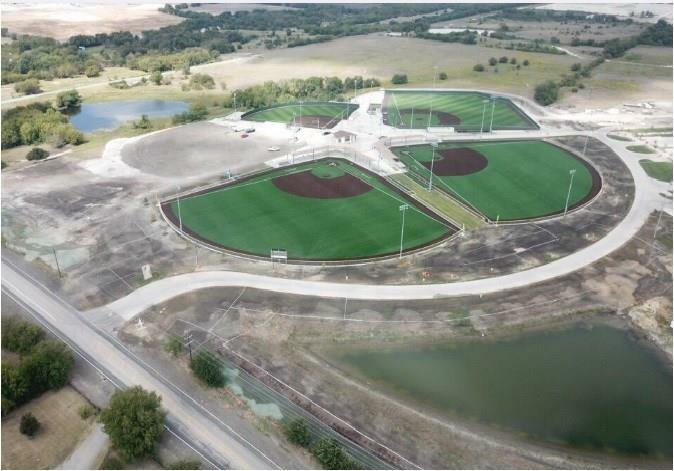 New Melissa Sports Complex around the corner. 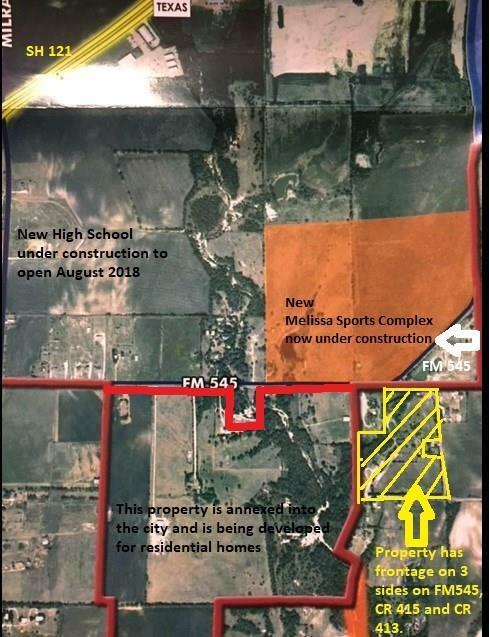 New high school opened this year and close by on FM 2933. The property has GCEC and NCSUD easements. 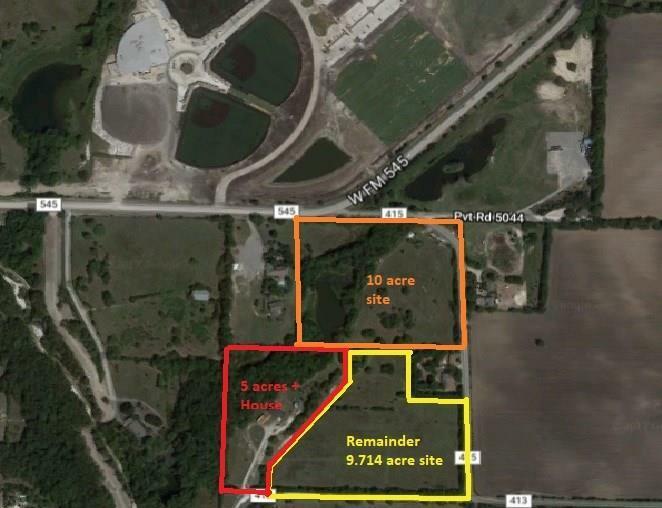 Buyer is directed to the City of Melissa regarding the availability of power and water as this property is in its ETJ. The property is currently under an agricultural exemption. REFI appraisal of adjoining home $50K pa, previous offer of $50K pa, prop on South under contract at $49K. Seller is willing to negotiate price and subdivision. Offered by J.R. Smith of 1st Strategis, Llc.